Black Eyed Susan is a native perennial to the Hudson Valley. Radiant yellow flowers burst out throughout the summer. 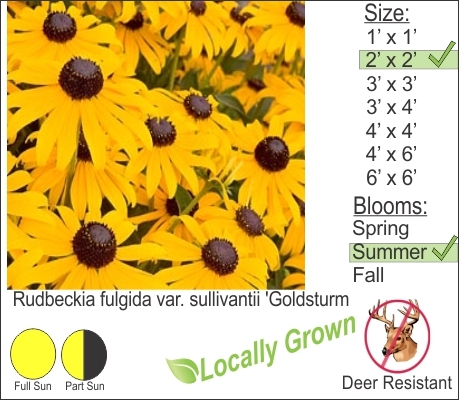 Black Eyed Susan is deer resistant and mixes well in your perennial garden with Echinacea and Karl Foerster Reed Grass. Cut back to the ground in early spring before new growth.